In small groups, students engage in inquiry based learning through the development of relevant and socially conscious current event show segments of their choice. This project-based learning resulted in transformative learning as students dug deeper into issues of importance for them as urban youth. Using the news theme template in iMovie, student edited together each individual segment to create a full-length webisode. Students practiced and refined theatrical performances through interviews, talk shows, news anchoring, and rants. 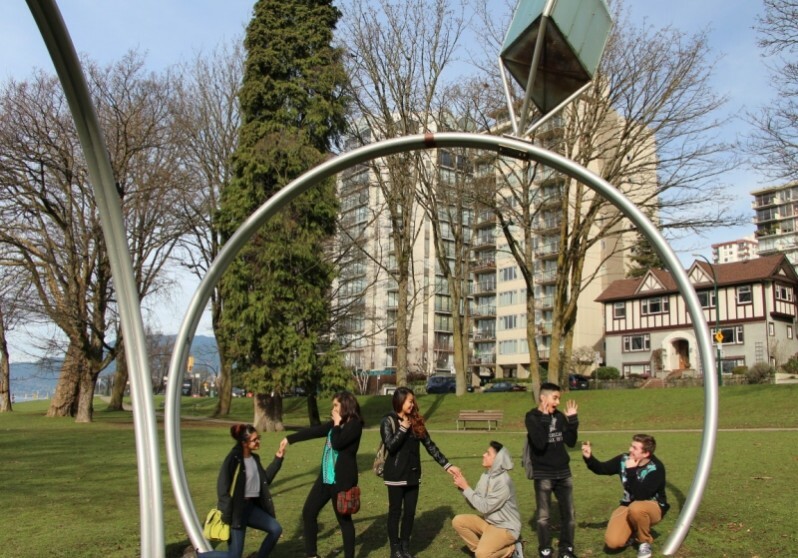 Students visited Engagement in English Bay to inquire into the following questions: What does this image invoke in the students? What images or ideas come to mind? What kinds of assumptions do the students make when engaging in a discourse around the exhibit. How do the students feel about the institution of marriage? Students visited A-maze-ing Laughter. By interacting with and reflecting upon the various expressions and positions of the various characters, students resonated with certain characters. Issues of “face”, identity, and representation may arise out of interactions with this exhibit. Students documented the site for use later within classroom-based inquiries. How do our assumptions about other people inform who we are as Canadians? How does the diverse society in which we live shape our personal and collective identity? How do our own assumptions impact the lives of others? •  Language Arts: Author a creative short news segment that features a series of current world events. 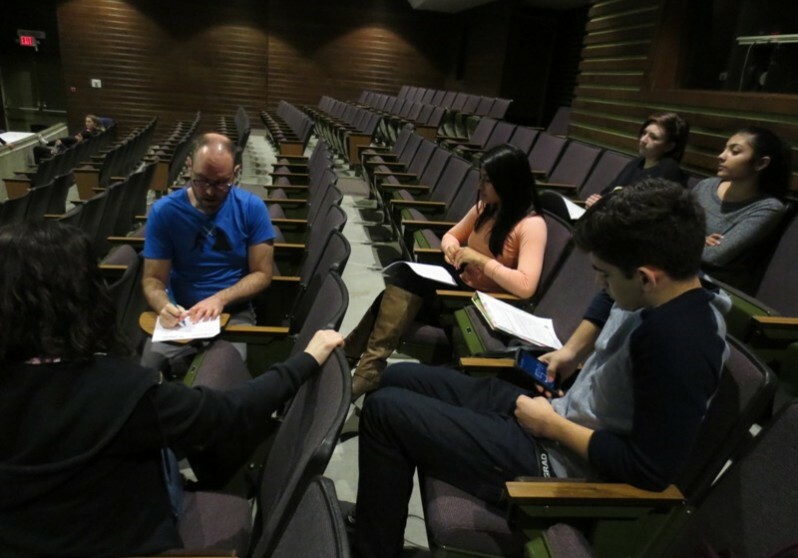 Use aspects of theatre and performance to convey important themes in an expedient manner. •  Social Studies: Spanning a timeline of thirty to forty years, depict Canada and its cultural identity, showing how it has supported gay rights over the past few decades. Who were the cultural icons during these periods and how did they influence the masses? Compare Canada’s progress to that of the United States. How far has the US come, and how far do they have to go? • Free-writes: In shared small group discussions, have each group complete a short answer to the question: “What kinds of assumptions do we make about people within society and how does this impact others?” and share their thoughts with the class. 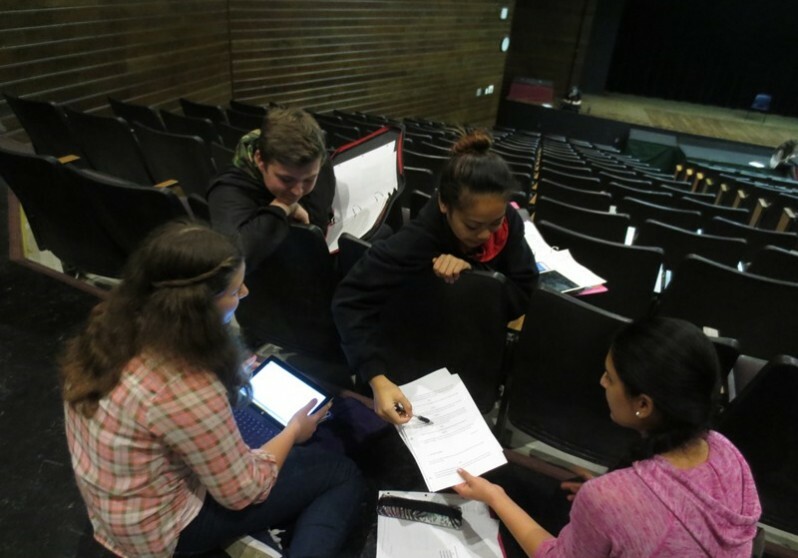 Ask the students to take five to ten minutes to describe one concept related to the line of inquiry that they can perform through a theatrical sketch or through a short improvised monologue. Lead a discussion to summarize what are the core themes and values the class has identified. Keep track of ideas within a detailed production list. Giving the students five minutes to think, have them write down two or three ways that the top 5 issues could be filmed. Would this be a “news” segment, a rant, a comedy sketch, or a rap video? 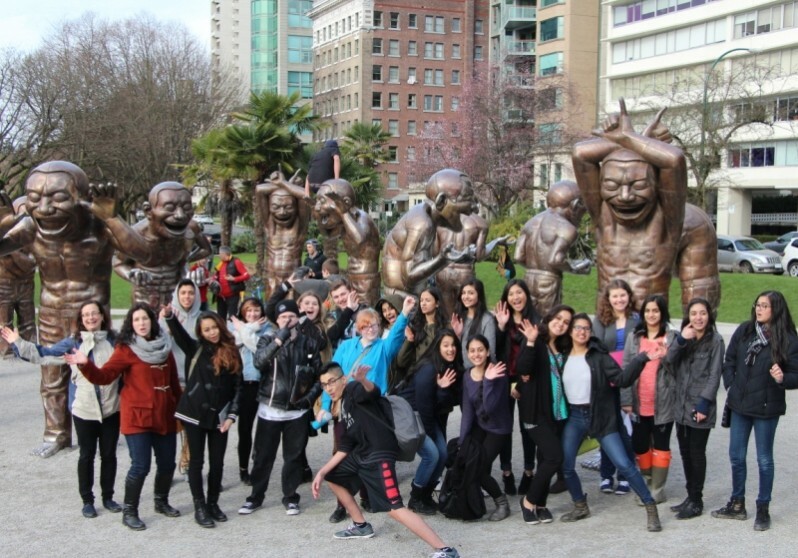 • Dialogue and collaborative inquiry: Dividing the class into groups, have them collectively brainstorm what it means for them to be a Vancouverite or to a larger extent, Canadian. Share the ideas as a class. What are some of the things that people have come up with? Are they similar to anybody’s perceived self-identity? Why or why not? Discuss the advantages and disadvantages of relating to a larger society. • Considering the affordances of various mediums for each segment (photography, live performance, video, creative writing, etc.). • Self and identity as it relates to A-maze-ing Laughter. What does it mean to “wear a mask” and in what context to people wear masks? • Place and assumptions: conceptions of what it means to be part of a diverse Canadian society. • A-maze-ing Laughter exhibit: two projects explored this exhibit from a youth point of view. • Human rights, equality: the gay rights movement in Canada compared to the USA. Each group project was captured in video format as a QuickTime movie file, which can be uploaded to the Vancouver Biennale and school websites. Creating either original music for segments or adding in existing stock footage from artist’s collection of news themed music files. Overall, this has been an amazing educational experience. The students were highly engaged at al stages of the project’s development. Students were also very much inspired and engaged by their interactions with A-maze-ing Laughter and Engagement. I was surprised by how in-depth the concepts that the students explored were and how creative they were in their skits. 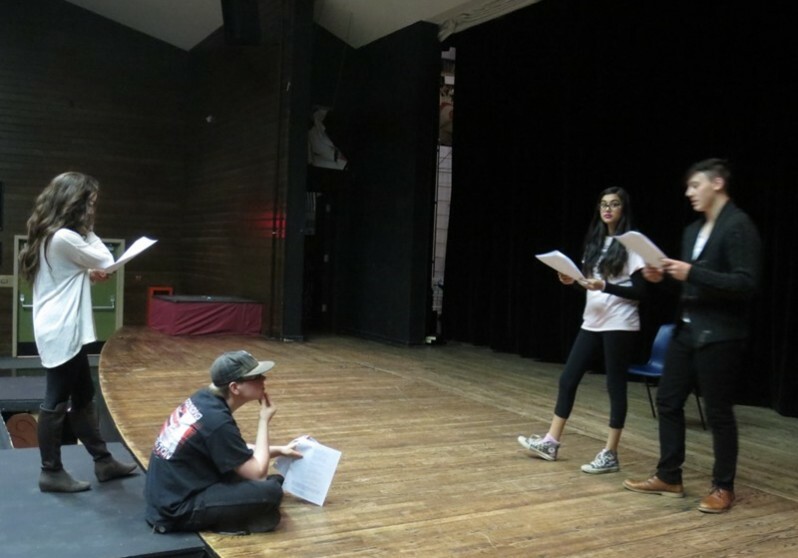 The students used their experience as theatre students to produce some excellent theatrical performances within their skits. They also did an excellent job memorizing lines and performing for the camera. Project management required more attention than expected but provided students (and editors in particular) with opportunities to take on my responsibility and ownership over the post-production process. Students were encouraged to use their own technology, which included iPads, DSLR cameras, video cameras, computers (both Mac and PC), and some external microphones. There was some range in production quality due to the availability of higher or lower quality technology. However, all six projects at their core showed great resourcefulness and ingenuity, and the concepts and critical thinking captured within the segments were all of a very high quality. I am incredibly proud of the work produced by the students and the many excellent performances that emerged out of the production process. What a wonderful way to explore aspects of theatrical creativity and production!